Although his fate has been described in many legends and tales, he was a real personality of the Slovak history. Juraj Jánošík, a famous highwayman and a just defender of the poor, was born in 1688 in the village of Terchová, at the foot of the Malá Fatra mountain range. His birthplace was one of the isolated settlements near the village, lying on the side of the Kysucká vrchovina upland. On the other side of the village, a monument was built by the inhabitants of Terchová to commemorate their famous native. 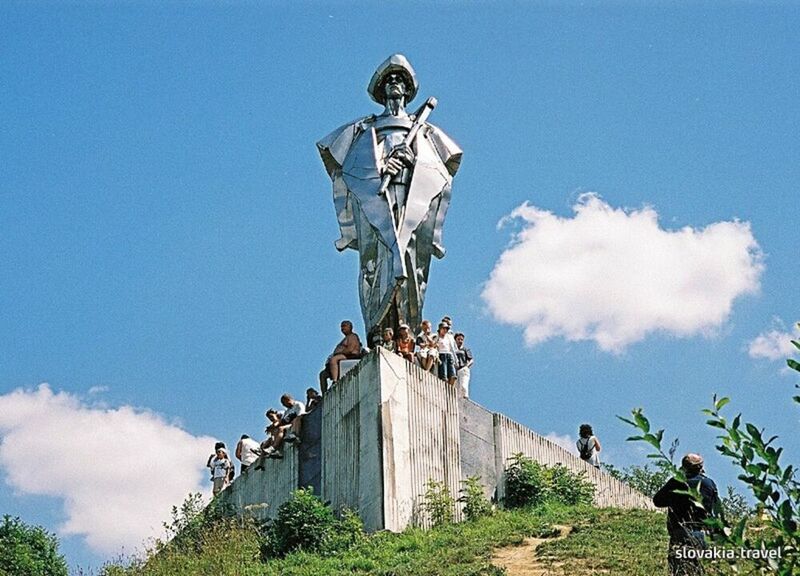 The statue of Jánošík was erected on a green mould overlooking the road leading to the Vrátna valley in the Malá Fatra mountain range. This large scale statue is made of sheet iron and it measures 7.5m. It was sculpted in 1988 by Ján Kulich.